Memory Joggers is an innovative and easy way for children to learn how to add and subtract. This system has been successful because it uses rhymes, pictures and clapping patterns; all effective tools of memorization. This activity book is designed to reinforce the teaching of the rhymes as presented on the Addition and Subtraction Learning System cards. Interspersed in the book are tests, fact family activities, and word problems. The simple and effective way to relax and improve concentration for ADHD and Autistic students. 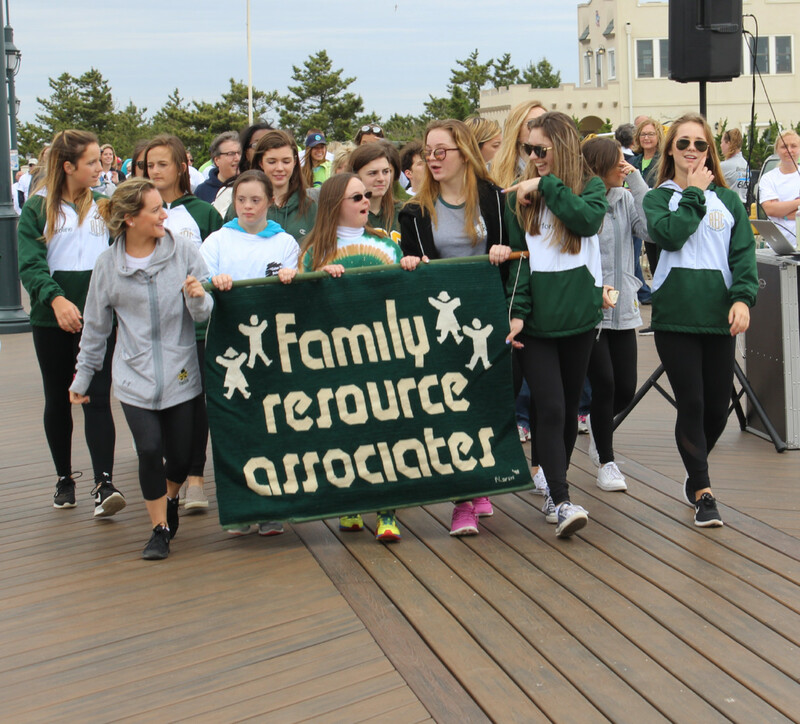 For many students who cope with ADHD and Autism Spectrum Disorder (ASD) school can be struggle. Sounds that are typically ignored or unnoticed are often the source of stress, confusion and distraction for students with ADHD and ASD. This portable and affordable digital audio book player helps individuals increase their reading speed, comprehension and vocabulary, wherever they go. Gain access to your curriculum material anywhere and anythime with this easy-to-use portable device. You can hear text read aloud, while viewing text on a fully cutomizable color screen. study tools include items such as bookmarks, recorder, highlighting function and a speaking dicitonary, which are available to enhance learning. Works with any e-texts or NIMAS file. For reading, writing and arithmetic, Creative Genius does the trick. With the help of exciting games and music, kids will learn to count, form letters and numbers, understand seasons, and develop beginner-reading skills. 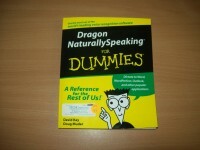 Dragon Naturally Speaking is the most accurate voice recognition software available, but getting top results can be tricky. Here’s everything you need to kiss that keyboard goodbye – including advice on dictating, editing, Web browsing, and running your computer with voice commands. It’s your friendly guide to hands-free computing – whether you’re always on the run or you just can’t type. Handheld computer for mastering multiplication tables that makes flashcards obsolete. 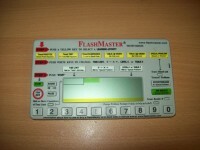 Flash Master is an extremely efficient use of students' time. No time wasted by distracting computer games, by unnecessary keystrokes, or by tedious and time-consuming "rewards." Usable anywhere and at any time; the car, the kitchen, etc. 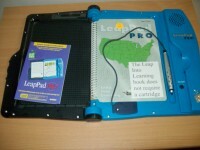 The Leap Pad teaches beginning readers how to pronounce words by sounding them out. 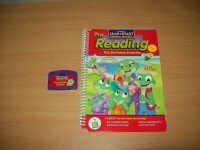 This great learning tool reads full-color animation storybooks to a reader, helping them to identify letters and words. They can play guided vocabulary, geography, music, science, foreign languages and more! This more sophisticated version of the wildly popular electronic pad. 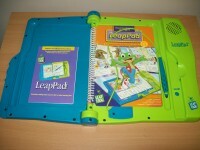 The unit opens up to hold specially designed books--a sampler book as well as a chapter book (such as The Wizard of Oz). Readers use the attached stylus (pen) to interact with the book. Unlike the interactive books designed for the original Leap Pad, the enrichment books for the Leap Pad Pro focus on vocabulary and reading comprehension. 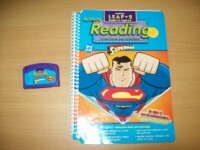 Note that this professional version is capable of reading any Leap Pad book. Some families might prefer to buy this version so that it will grow with their reader. Its design is more sophisticated than the original pad. Get swept away by the magic of Disney’s princesses! Help a friend with Snow White and the Seven Dwarfs, dress up and dance the night away with Cinderella and take the plunge with Ariel in a fantastic undersea adventure. 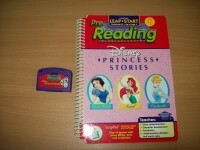 Experience the magic as you read, learn and sing along with these three beautiful princesses. In this story you will learn to: strengthen story comprehension skills, build character comprehension, improve vocabulary, understand character comprehension, improve vocabulary, understand character dialogue, and recognize initial sounds and letters. "Zoinks!" Donuts are disappearing from the Doodles Donut Shop. Come along with Scooby-Doo and the gang and follow the trail of crumbs in this big donut mystery. Increase vocabulary and improve spelling as you hunt for clues, link letter sounds and words, find Scooby's hidden paw prints and find the culprit stealing all the donuts! Looks like there is a mystery to solve! When the Mystery Machine gets a flat tire, the only place to stop is a creepy old castle. Scooby-Doo and friends are invited to stay for dinner, and meet an unexpected visitor- a ghost! Can you help the gang get to the bottom of this haunted mystery? While reading you will learn to: Pronounce and define new vocabulary words, solve a mystery story using logic and creative thinking, answer questions about the plot, theme, characters and setting. “Read all about it!” Features Hank, an ordinary man who idolizes Superman and wishes he were just like him. What will it take for Hank to be a hero like the Man of Steel? In “Mistaken Identity,” Superman’s clone-gone-wrong, Bizarro, causes trouble at the Daily Planet. Will Bizarro give away Clark Kent’s secret identity? These thrilling stories contain activity pages that test your comic’s knowledge and include games like listen Up! Cross Plus, Office Mystery and more! 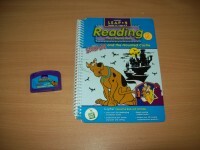 In this book you will learn to: Master reading comprehension skills, differentiate between will learn to: use logic and reasoning to solve the mystery, develop a love of reading, listen to character voices, associate letters with words and sounds, identify characters in the story, and learn new vocabulary words and definitions. Get ready for an exciting journey into the human body. Where is the femur? What is an epidermis? Find out where the longest muscle in the body is located. Peel back see-through pages in this book and explore the body’s systems. 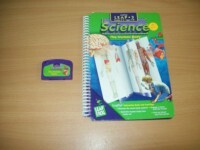 This book gives a clear understanding of the human body and how it works. Learn and test modes reinforce learning. Enter the world of the dinosaurs, great creatures who roamed the Earth millions of years ago! Find out where they lived, what they ate, and what made each one unique. 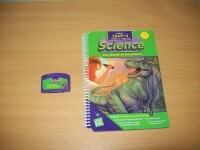 Learn about fossils and prehistoric time periods. Identify two dozen species of dinosaurs, from the ferocious tyrannosaurus rex to the motherly Maiasaura. It's Mom's birthday! Leap, Lil and Td want to get Mom something special, but they can't decide what she'd like. Grandpa has and idea! Off they go to the Alphabet Pnd, a silly place filled with letter, rhymes, songs and so much more! They search and search, but nothing seems quite right. Ill they ever find Mom the perfect gift? In this book you will learn to recognize letter names and sounds, create funny rhymes, identify initial consonants and have fun while learning the alphabet. Someone’s stolen Woody! Join Buzz and all your favorite toys as they embark on a mission to bring Woody home safely. During this adventure, you’ll meet new friends, like Jessie and Bullseye. 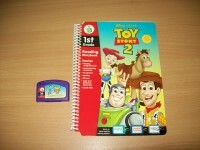 With music, games and your favorite character, you’re sure to enjoy this Toy Story 2 reading experience in a whole new way. This book is chock-full of creative ideas that appeal to all learning styles. 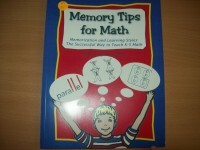 Rhymes, stories, pictures, and acronyms, stimulate the brain to remember math procedures and vocabulary. Visual, auditory and kinesthetic learners respond enthusiastically to this fun and effective method. Motiva is a personal FM system that is designed to mix and broadcast a speaker's voice PLUS and an audio program, simultaneously, in one room to the listener's personal receiver. This sleek, lightweight FM system provides hearing assistance when background noise or distance from the source makes listening difficult. 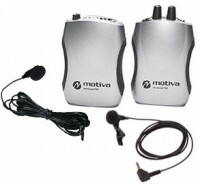 Motiva is ideal for small groups, classrooms, employee training and consultation. The Motiva system features sixteen selectable channels on 72-76 MHz and has an operating range of up to 150'. No-slip rubberized sides ensures easy handling for all users. The speaker uses the T36 transmitter with flexible 3.5mm mic jack, push-button on/off/mute control and adjustable compression and channel lock. 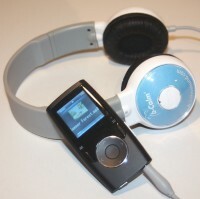 Participants use the R36 receiver equipped with an earphone, headphone or neck loop to listen to the speaker or audio program. 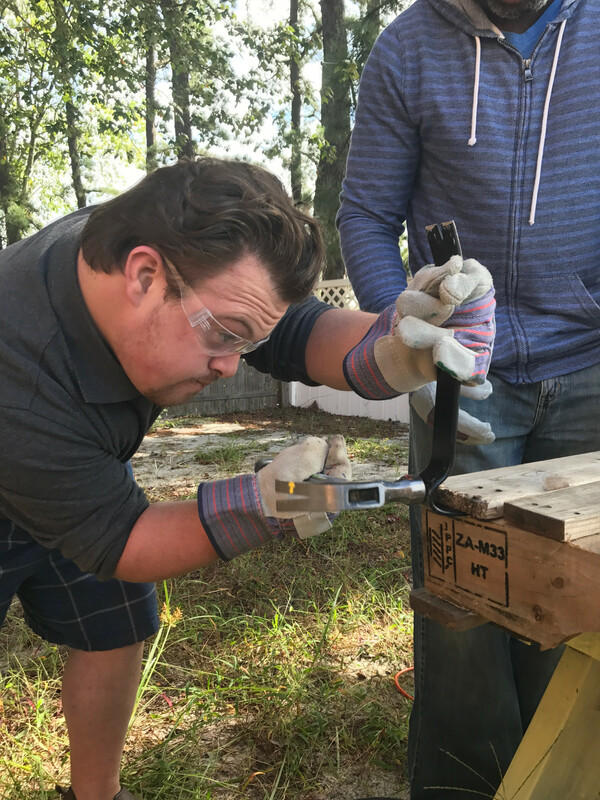 With the R36, participants will hear more of what they want: they can use the receiver's external mic, FM signal, or they can mix audio from both for a customized, personal listening experience. This listening device improves listening for individuals or groups, 16 selectable channels, auxiliary input: broadcast any audio source, flexible receiver: Listen using plug-in mic, FM signal, or mix, tone, compression, mute control and operates up to 150' (45.7 m). 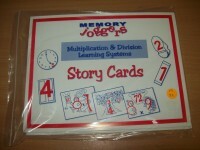 Memory Joggers is an innovative and easy way for children to learn how to multiply and divide. 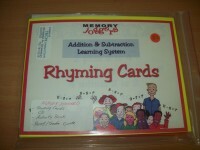 This system has been successful because it uses rhymes, pictures and associations; all effective tools of memorization. This activity book is designed to reinforce the teaching of the rhymes as presented on the Multiplication and Division Learning System cards. 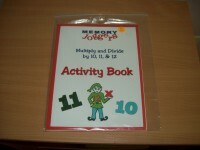 Memory Joggers is an innovative and easy way for children to learn how to multiply and divide by 10, 11 and 12. 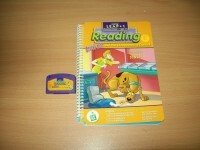 It has been successful because it uses stories, pictures, rhymes and associations; all effective tools of memorization. 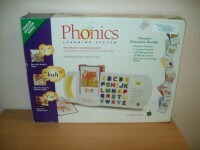 A complete early learning system that teaches the alphabet, phonics, spelling and reading. Brings letters and their phonic sound to life. The talking cards say the name of the picture and how it is spelled. Press the letters on the talking cards and the letters say their phonic sounds. Press all of the letters in the talking cards and hear the word and a reward. A computer in a pen that helps you never miss a word. 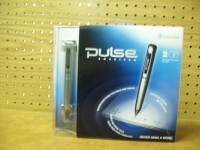 Pulse records everything you hear, say and write, and links your audio recordings to your notes. Find the most important information from your meetings or lectures just by tapping on what you wrote. 1GB of memory can hold over 100 hours of audio. Actual recording time varies by audio quality setting. 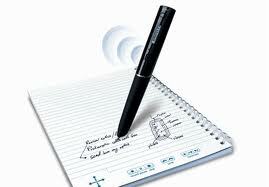 The Reading Pen is a revolutionary hand-held, pen shaped, high resolution scanner with advanced text-to-speech-technology. It functions as an educational tool, providing "assistive technology" to people with reading difficulties and students of English-As-A-Second Language. Unlike PC-based high-tech reading aides, Quicktionary Reading Pen is completely portable and enables user to see and hear the scanned text. How to communicate with infants before they can speak. 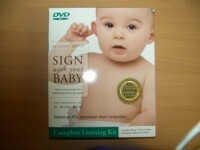 This Sign with Your Baby complete kit includes the Sign with Your Baby book, training DVD and a quick reference guide that can be used to help you understand and communicate with your baby long before he or she can speak. Author and researcher Joseph Garcia offers a straight-forward, light-hearted approach to teaching infants how to communicate using simple sign language. Garcia's system draws from his personal experience and his research in early childhood development, allowing you to tap into your baby's astounding capacity for learning and interacting. First Words, First Words II, and First Verbs help children and adults with special needs master essential early vocabulary. 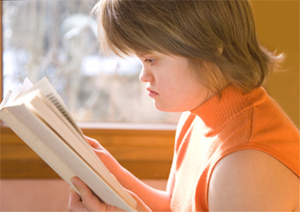 These programs offer the consistent, focused, and supportive environment that many people with disabilities require to learn an initial vocabulary. 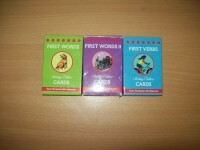 FIRST WORDS: First words cards can be used to teach receptive and/or expressive vocabulary. These colorful cards illustrate 50 early nouns organized in developmental order. FIRST WORDS II: These cards can be used to teach receptive and/or expressive vocabulary. These colorful cards illustrate 50 early nouns organized in developmental order. FIRST VERBS: These cards can be used to teach receptive and/or expressive vocabulary. These colorful cards illustrate 50 early verbs organized in developmental order. 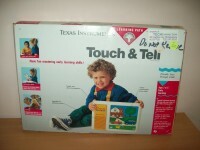 Touch & Tell a novel product idea with their speech synthesizer technology. You place one of different pictures onto a position sensitive keyboard and start the game. Touch & Tell will ask you a random question and you point the solution with your fingertip on the picture. 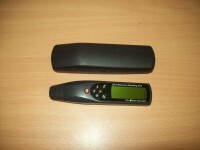 To keep interested, musical tones and special sound effects appear. 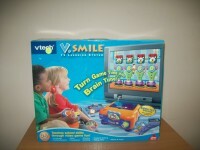 Turn game time into brain time with V. Smile TV learning system. This learning tool combines TV video games with learning to create an engaging and educational experience. Simply plug the console into your TV, pop in a Smart ridge and let the gaming adventures begin. Your little one will enjoy both modes of play that V. Smile has to offer: adventure mode for a realistic gaming experience and learning fun mode for unique educational games. 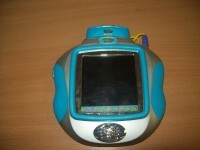 It includes a joystick that is adaptable for right or let-hand play, as well as the V. Smile console. A valuable tool for people of all ages, the WatchMinder2 Vibrating Alarm Reminder is a highly developed time management device that is fully customizable for any situation. Adjustable to fit a variety of wrist sizes, from children to adults, this unique timepiece is the ideal watch for anyone looking to help increase focus, organization or memory.WatchMinder 2 is a watch that is ideal for memory assistance and rehabilitation training. 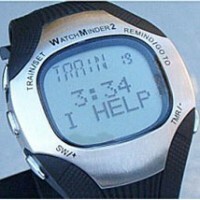 Also, this watch is a behavioral monitor for ADD and AD/HD patients and helps to develop independent living skills. This is a great tool for students who have difficulty keeping up with note taking. Record and play back everything you write and hear. Then transfer your notes and audio to your computer. Truly never miss a word. It's a more accurate tool to help the user remember and replay their notes. Replay notes right from the pen or transfer your notes onto a computer. This is not just for students! I love using my pen for meetings!!! Also great for the elderly to take with them to doctor visits.